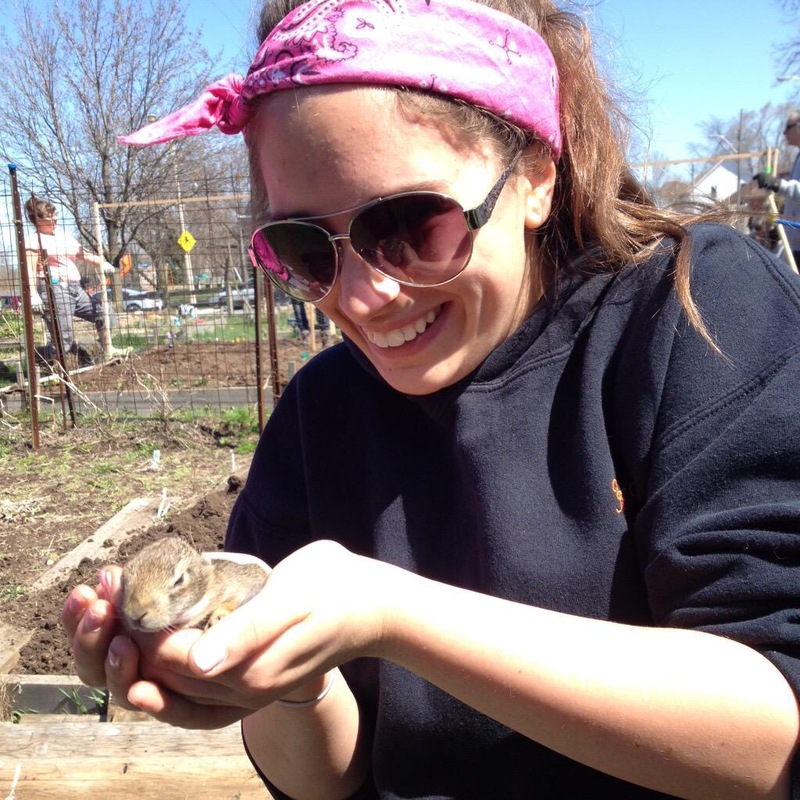 The Hill Street Community Garden started its seasonal open with everyone sharing what they were looking forward to most. We are looking forward to growing, having mastered kale n salad greens AND tomatoes (lol Leah ), of all things we’re looking forward to growing, something we eat very little of anymore, growing more potatoes! Their SO easy and the taste of homegrown potatoes is very different -better! One new gardener questioned about the presence of rabbits. “Oh no, not around here. No problems” they were reassured. 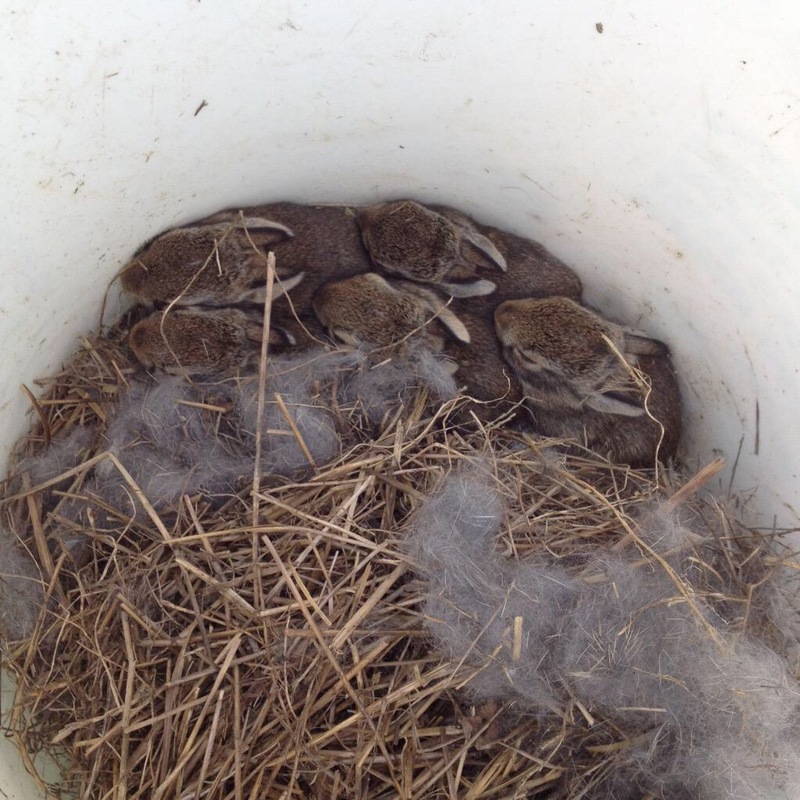 As we started working, one plot uncovered a litter of 5 very young, eyes barely opened, bunnies burrowed on their plot. “Oh no, no bunny problems around here”. The litter was placed in a bucket and all five tucked in and amongst each sibling nicely. Once the oooooo’s n ahhhhhh’s were done, the task at hand was to place them safely in a spot. A spot where momma could find them, as surely she was watching us admire her fine littler. It was as this point one gardner make a reference to a Monty Python skit of a bunny. (I was never much of a Monty Python fan but did find the clip a tad amusing). A safe place was well thought out and they are now, as night falls, safely tucked in there. It is my hope that momma has found them and they are enjoying a wonderful early spring evening together.